I recently found out the 'secret' to giving a memorable gift is to make sure it's something you would want also. This is how I chose the item for my first contest. What would I want as a gift? 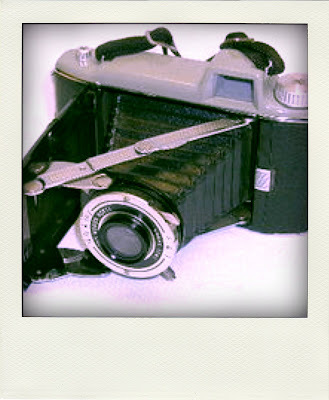 A vintage camera, of course! Please note I don't have sponsors; this is completely out of my pocket and no, I am not doing it for more readers. Most of the people that visit for the contest will just drop-by, leave their comment and never visit again. I am doing it because I genuinely want to have the opportunity to give you guys something. This is an amazing community and I wish I could individually give you all something great. All of you inspire me, and give something to me, and I would love to give a little something in return. I found a few vintage cameras on ebay, and sticking to my price limit, the camera I won is a Kodak Tourist Camera. It's in perfect shape, and I was so tempted to keep it for myself. This is definitely a collector's item. How beautiful would this look displayed in your place! 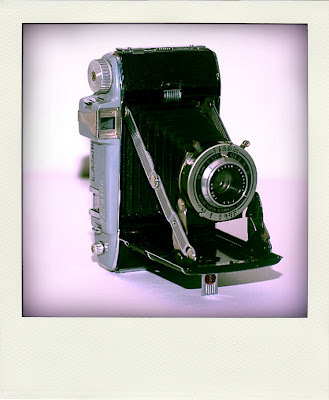 You can read about the history of the camera here. Just leave a comment and I'll have Scott choose a random number. Good luck!